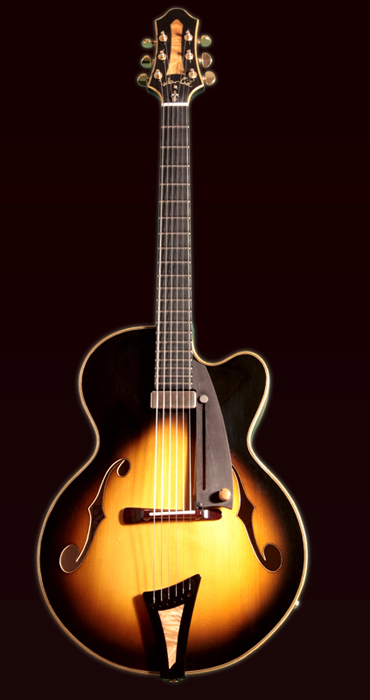 Shape: Archtop acoustic / electric guitar. 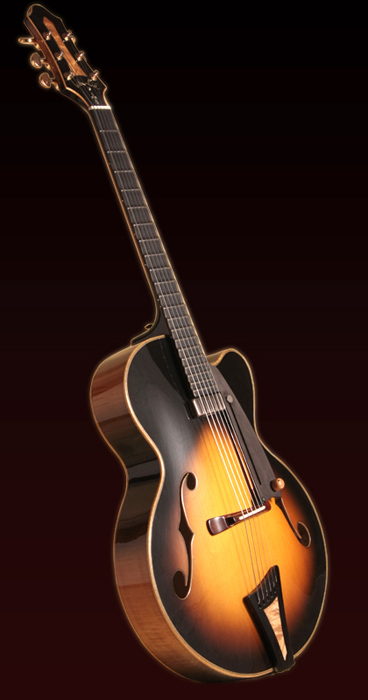 Body: 16" traditional wood combination for archtop guitars - spruce and maple with unique braces layout. Binding is combination of curly maple and ebony. Back/sides: Light-high grade curly maple colored with spirit stain. 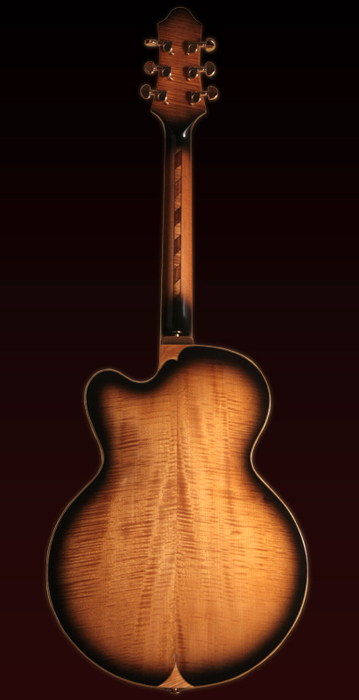 Neck: 5 piece curly maple and mahogany with ebony veneer over head and curly maple at the back side of head. The neck shape is "soft V" to "soft D". Ebony fingerboard without inlay is fully scalloped 0,5mm at the low E and 1,2mm at high e. Frets are "medium" size (2.5 mm x 1.10 mm). Fingerboard radius is 12". 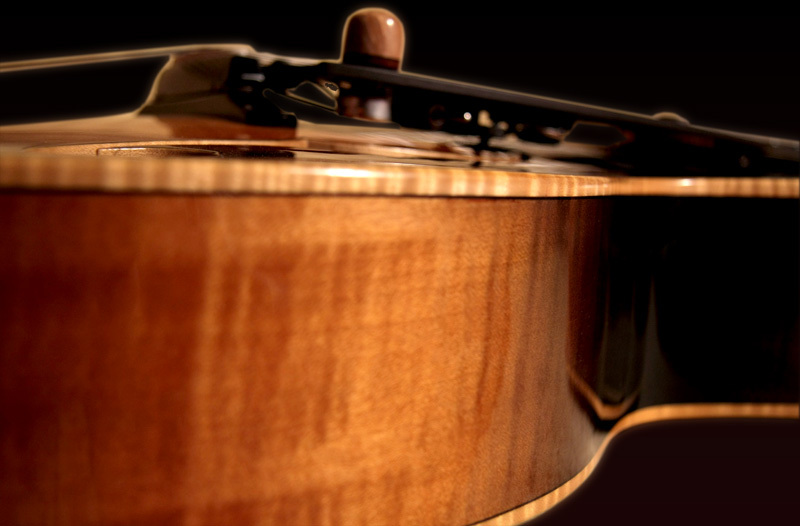 Other: Bridge - maple cut as violin stile bridge with bone saddle.Tailpiece - ebony with brass shielding stop plate.Pickup - one floating Kent Armstrong Paf humbucker. 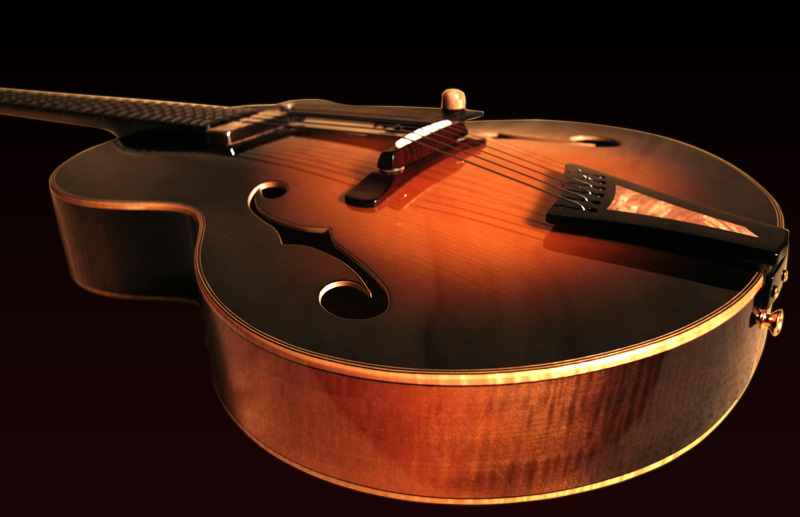 Sound: Pure acoustic archtop guitar sound with wide range of highs, mids and basses. 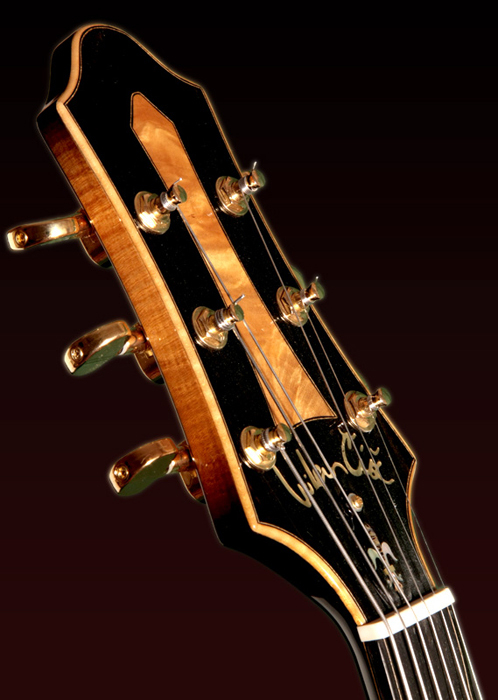 Classical guitar braces transformed to archtop soundboard keeps top work with whole spectrum of dynamics attack. 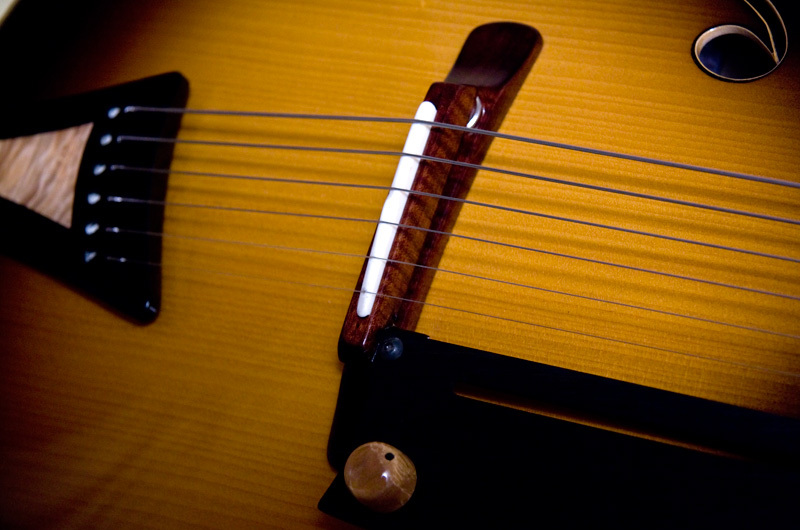 Sliding floating pickup can achieve all possible positions under the strings. Piezo pickup can be connect to magnetic pickup output and add bridge and soundboard vibrations to final sound.